At Budget Blinds of San Gabriel, we're your local neighborhood experts that truly understand your needs. We're in your neighborhood, we know the local San Gabriel weather and community, and we’re backed by the #1 provider of blinds, shades, and drapes in North America. Over 25 years of customer satisfaction gives you peace of mind that only comes with choosing the proven leader. We bring the showroom to you in San Gabriel. We expertly measure your space, install beautiful window treatments, and back it up with the best warranty in the business so you can sit back and relax in the beautiful, San Gabriel weather and sunshine. We serve to give you the best in window treatments, so you can rest easy knowing your space will be beautified and optimized with window treatments that fit your individual needs. When it comes to sourcing stylish, premium window fashions in the San Gabriel area, we know how challenging it can be. You’re “crazy busy” schedule can get in the way, but relax because Budget Blinds serving San Gabriel is here for you. Our vast experience, personalized design approach, and “uber” passion for creating the perfect look in your home will induce compliments from friends and family year after year. 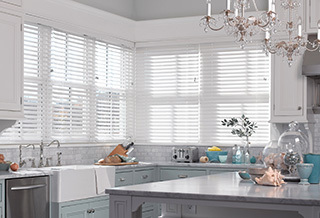 We’re locally based and family-owned, so from donating to the Temple City School District to supporting our local community events, we lead local with trend-forward styles, fabrics, and colors in innovative blinds, shades, shutters and drapery. We can even find the perfect window treatment for those awkward sized windows. Yes, you might say Budget Blinds serving San Gabriel has you covered…and then some. Why not reward yourself with new, custom window treatments that reflect your own unique sense of style? We’ll even make it fun and easy with our FREE in-home design consultation, which is by itself a remarkable value. Call or click today and see why Budget Blinds serving San Gabriel is the preferred choice by so many homeowners. We had a great experience they had a lot of choices in patterns, colors, material and shades styles. John our consultant was so kind and always came out to meet us either at our old residence or new home. He was fast and didn't make us wait days in btwn our consultations. The final product was installed super quick and they look beautiful, see my photos. John deserves 5 stars but Budget Blinds 4 stars the only thing i didn't like was that the small windows have 2 cords which is weird so basically one side goes up with one cord and vice versa. I just wish they all had 1 cord per roman shade. I hope to work with John again in the future hes awesome! I'm a little late in my review, but I wanted to share my experience with John, from Budget Blinds of San Gabriel. I did my order in June/July 2015. John did the window coverings for our 3 bedrooms and our master bathroom area, after we just remodeled our custom home. We told him what we were looking for and he made different suggestions that would work for our windows and furniture. Once we picked out the blinds we wanted, he told us the price which was well within other estimates we had received. One of the things we liked about John was he give us different options, that worked within our budget. He said when the blinds would be ready and it was right on time! (Factory made blinds to order, with no hiccups.) Not only was the installer professional, but the installer went out of his way to explain how the blinds worked and what we needed to do to keep them working for years. This was done on time and on budget! No surprises. John called us after the installation was done and made sure we were happy with our choices for our blinds. Not only were we happy, but we get compliments all the time on how they look. They look even better than we expected from the outside and made our house look even better. This job was done after our custom remolding to our house to finish off all our updates. Our contractor even said they did a great job with our blinds! I would recommend John again and I will use him with another project I have planned in a few years. John will take good care of you, he took care of us! Thank you John!